Dear Netflix, We Can't Hear You! Signed, 50 Million Americans : 13.7: Cosmos And Culture Recent scientific research links hearing impairment with dementia. Commentator Barbara J. King says widespread availability of closed-captioned films could help. Netflix was ordered to close-caption all its films by next year. Addicted, that's what we are: My husband and I are addicted to BBC television shows. We watch BBC series via Netflix streaming, the "instant" option available to Netflix customers. This past weekend, we chose a show called The Last Enemy starring Benedict Cumberbatch. Like thousands of others, we are impatiently awaiting the reappearance of Cumberbatch and his co-star Martin Freeman in the BBC Sherlock Holmes series, but Season 3 won't come to the U.S. until 2014. We hoped The Last Enemy might ease the pain of the wait. It started off great, and we were hooked. For us, that was a deal-breaker. My husband has a moderate degree of hearing loss, and without closed-captioning, what should be a fun activity rapidly became an exercise in frustration. Even though my hearing is intact, I also had trouble without visible words on the screen because the show involves fast-paced dialogue and thick accents. After about 20 times of hitting the remote's pause button and asking each other what we just heard — or didn't hear — we gave up. Why does the slight ruination of our weekend viewing plans merit a blog post? Because many millions of other Americans are in my husband's boat. In her new book Shouting Won't Help: Why I — and 50 Million Other Americans — Can't Hear You, Katherine Bouton notes that 17 percent of the U.S. population has some degree of hearing loss. It's not only older people, either, she notes: 19.5 percent of 12-19-year-olds have at least slight hearing loss; 5 percent of these young people are considered to have some degree of serious impairment. Not all hearing loss is alike. Bouton notes that the deaf community in the U.S. today is vibrant, with its own language, full of accomplished people in "just about every profession." By contrast, she writes, the hearing impaired "live in a kind of limbo, not really part of the hearing world but not part of the Deaf world either. Many are unwilling to acknowledge their hearing problems publicly." Bouton's own story underscores this last point: For two decades, she endeavored to keep her own hearing loss secret as she worked in high-powered journalism. It's no secret, though, that some people are less than happy with Netflix's services to the deaf and hearing-impaired communities. A Massachusetts woman who is deaf, working together with two deaf organizations, sued the company in 2010, saying that a lack of closed-captioning on its instant-streaming shows violates the Americans With Disabilities Act. 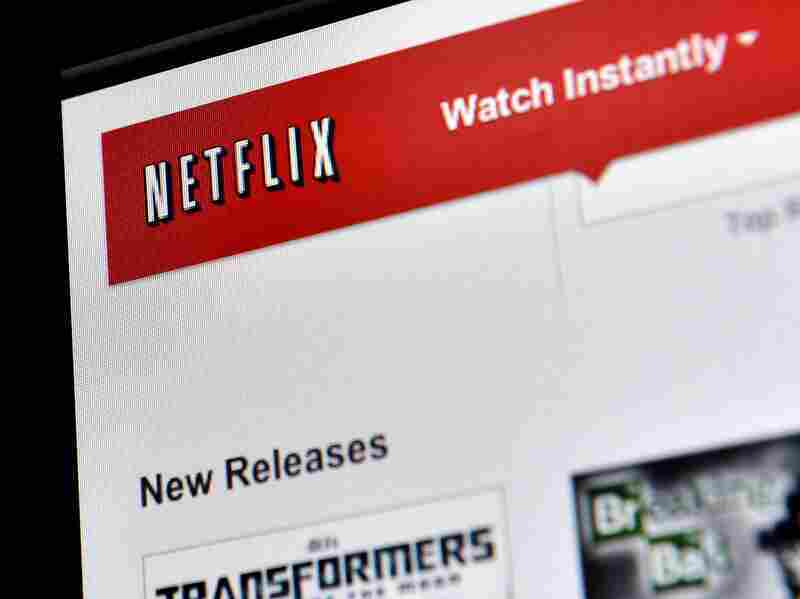 A judge agreed: Netflix was ordered to close-caption all its films by 2014. Possibly you are thinking: First-world problem! That's a comment I get pretty often here at 13.7, when I'm tackling an issue that a reader dismisses as less than critically important. So let me explain why Netflix's forthcoming compliance with the ADA is good news from the scientific side of things. A 2011 paper by Frank Lin of Johns Hopkins University, summarized by Bouton in her book, offers a startling conclusion: There's a strong correlation between hearing loss and dementia. Lin studied 639 people aged 36 to 90, some of whom had hearing loss at the study's inception, but none of whom had dementia. A median time period of 12 years later, with scientific controls applied for effects of age and medical conditions, those who did have hearing loss at the start had a greater incidence of dementia. "The risk of dementia," Bouton reports, "increased with the degree of hearing loss. The use of hearing aids seemed to have no effect." An association between two variables is a tricky thing because it doesn't imply a cause: There's no proof that a hearing impairment leads to dementia. Bouton asks the key question: How might hearing loss and dementia be related? She reviews three possibilities. Social isolation often results from hearing impairment and may itself be a risk factor for dementia. Or, the brain may be so overworked by trying hard to hear others' speech that working memory may be affected (this is called the "cognitive overload" idea). Finally, there may be some underlying cause common to both hearing loss and dementia. Or maybe more than a single factor is at work. One thing is already clear: more closed-captioning would help the situation. It would combat both a feeling of isolation and any cognitive overload resulting from straining hard to hear felt by those with hearing loss. Watching a film shouldn't be an unpleasantly challenging strain or a pleasure rendered impossible altogether. Whether solo or shared, it should be an engaging brain treat available to all, no matter the working status of one's ears. Barbara King's book How Animals Grieve has just been published. You can keep up with more of what Barbara is thinking on Twitter.